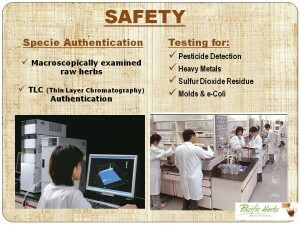 What is our cultural heritage to plants? 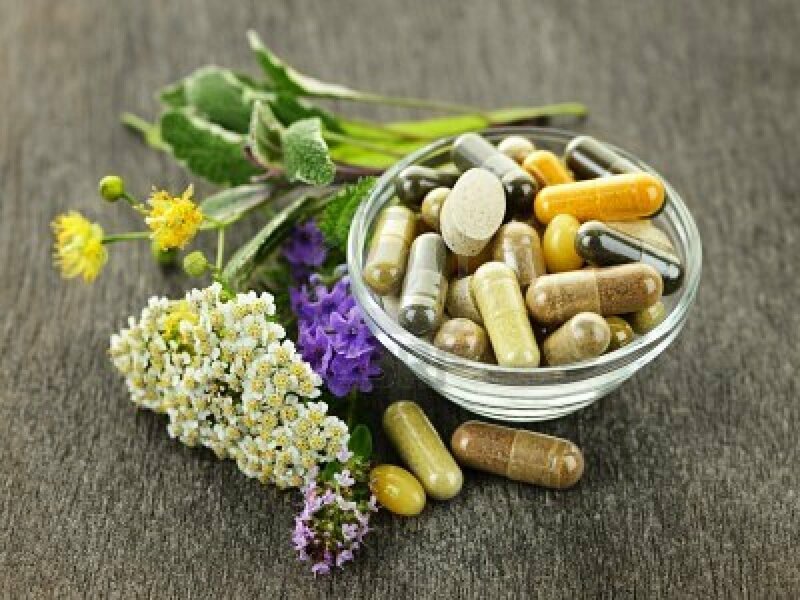 Why should you know about medicinal herbs, Chinese herbs and the contributions of herbs, herbal drinks and herbal remedies? 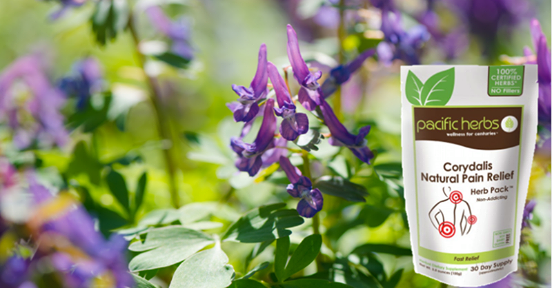 One reason is herbal medicine can be used safely as the first choice for self care and preventative care. A cultural shift is occurring right now, herbal remedies ARE growing every year, we are returning to our roots and are cultural heritage. This video explains it all. Mark Blumenthal discusses these in the video below. Mark is the founder of American Botanical Council (ABC) located in Austin Tx. He is is dedicated to disseminating accurate, reliable, and responsible information on herbs and medicinal plants. He is the Editor/Publisher of HerbalGram, an international, peer-reviewed quarterly journal. For six years he was an Adjunct Associate Professor of Medicinal Chemistry at the University of Texas at Austin, College of Pharmacy, teaching the course "Herbs and Phytomedicines in Today's Pharmacy." Mark is the Senior Editor of the English translation of The Complete German Commission E Monographs–Therapeutic Guide to Herbal Medicines (1998), Herbal Medicine: Expanded Commission E Monographs (2000), The ABC Clinical Guide to Herbs (2003), and co-author of Rational Phytotherapy, 5th edition (2004). He has appeared on over 400 radio and television shows and has written over 500 articles, reviews and book chapters for many publications. Something new from Harvard School of Public Health that I thought news worthy. Fat in our diet is apparently really good for us according the Harvard nutrition experts. A group of nutrition researchers recently gathered in Napa, California at the World of Healthy Flavors Conference. The conference brought together experts in the culinary field along with nutrition experts from schools, supermarkets and franchise restaurants to share strategies for healthy menu options. The most important news from the conference came from the “Focus on Fat” panel. Their recommendation is now to AVOID “low-fat” menu items and instead focus on cutting “trans fats”. (Trans fats are rare in living nature, but can occur in food production process.) They are now encouraging this new criteria be used to educate people on seeking healthy fats. 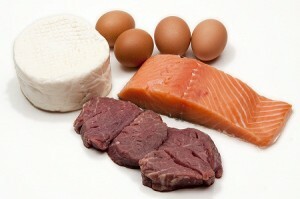 Healthy fat would include those that come from nature, like fish oils, egg yolks, organic milk and cheese because fat is actually good for us. What does this have to do with Chinese medicine, Chinese herbs and herbal supplements, all of which are the usual blog topics. I can think of only one correlation to Chinese Medicine, if you would call it that. 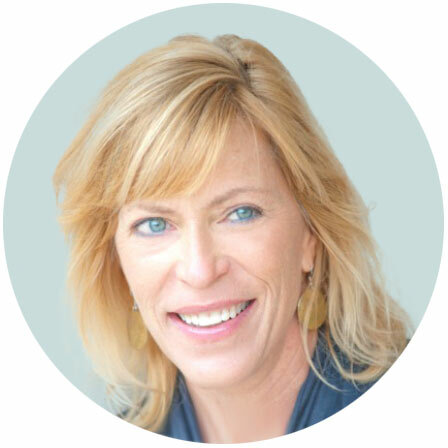 During the thousands of years of development of Chinese medicine, never did experts do a complete about face, as with this advice to start eating fats again. Chinese medicine (from the earliest manuscripts found in a nobleman’s burial chamber and dated 168 B.C.E.) have always been based on the same principals. After 2000 years these principals have never flip flopped. They have been expounded upon but have never been completely abandoned for a new, better version. Western nutritionist in less than 50 years declare first that fat is bad and tell us to reduce our fatty diets. Less than a half century later they now declare fat is actually good for us. How can we trust what they say? I agree that man mad processed fat, the “trans” fats cannot possibly be healthy fat, I’m just shocked that they can flip flop in just a few short years. Thank goodness the oldest system of medicine in the world, Chinese medicine, survived generations on principals that makes so much sense they have never had to completely flip flop. Maybe we need a history lesson? Here’s hoping all your fats are healthy ones. I've written many blogs on the subject of "know your supplement manufacturer." The recent hoodia claims are the very reason I talk about this so often. The appetite suppressant Hoodia has gotten some attention lately because GeoPharma and Breakthrough Engineered Nutrition, falsely advertised Hoodia in their products when actually the products contained no Hoodia. Weight loss products have notoriously attracted some of the less scrupulous companies. However, it is reassuring that companies falsifying claims are eventually caught and put out of business. But many continue in business for years before legal authorities catch them. Do your research, know your supplements and the supplement manufacturers. Ask trusted health professionals to help you find the best natural supplements for you. Your health is the most important commodity you have. The Herb Salvia Miltiorrhiza Used in an Extract Helps Osteoporosis. New evidence now exists about the Chinese herb, Salvia Miltiorrhiza. This herb has been used for thousands of years and has been praised for its benefits for cardiovascular disease. The latest study on Salvia Miltiorrhiza indicates that this Chinese herb can also be beneficial to those suffering with osteoporosis, a thinning of the bones or loss of bone density over time. As women age and go through menopause they often begin to worry about their bone density. Chinese herbs are a safe and natural answer for this concern. In Traditional Chinese Medicine, TCM, Dan Shen is well known for promoting blood circulation and soothing nerves. It improves micro-circulation, is an excellent anti-oxidant, reduces blood fat and helps the liver and kidneys to regulate. Yan Cui, Bidur Bhandar, Anu Marahatta, Geum-Hwa Lee, Bo Li , Do-Sung Kim, Soo-Wan Chae, Hyung-Ryong Kim and Han-Jung Chae, BMC Complementary and Alternative Medicine 2011, 11:120doi:10.1186/1472-6882-11-120 Published Nov. 28, 2011. 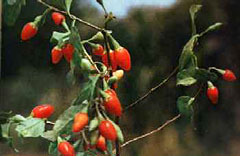 The health benefits of Lycium fruit, otherwise known as Goji berries are nearly unmatched by any other berry. While Western countries are just recently discovering these incredible antioxidants, Chinese medicine has been using them for centuries. Many foods and herbs overlap in Traditional Chinese Medicine, (TCM) and goji berries is one of these, a food used in herbal remedies. 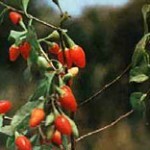 Today we are finding goji in energy drinks, energy bars and as a stand alone dried fruit in many health food stores. Lycium berries have a long history of use in Chinese medicine. They are commonly seen in cooking recipes from soups to congee (hot cereal) to stews. Goji berries are known as a tonic herb for the blood, considered a liver protector and especially beneficial for the eyes. Goji berries probably have more therapeutic value than we yet grasp. If you would like to read more studies you can always check out pubmed.com. Yet, before the age of the computer Chinese medicine understood the value in these little red berries and herbal formulas go back over a thousand years that have included lycium in herbal prescriptions for health. We've included it in our Energy Booster Herb Pack which is bases on an ancient Chinese herbal formula that has been used for "Wellness for Centuries". 1. Nutr Res. 2009 Jan;29(1):19-25. Lycium barbarum (goji) juice improves in vivo antioxidant biomarkers in serum of healthy adults. Department of Pharmaceutical Sciences, Division of Pharmaceutical Biology, University of Basel, Basel, Switzerland. Photochem Photobiol Sci. 2010 Apr;9(4):601-7.